Lotus F1 Team enjoyed their season’s best qualifying performance with Romain Grosjean fifth and Pastor Maldonado sixth for tomorrow’s Canadian Grand Prix at the Circuit Gilles Villeneuve. Building on that result, the team aims for a strong podium finish. Alan Permane, Trackside Operations Director: "Overall we’re very, very happy with where we are on the grid. 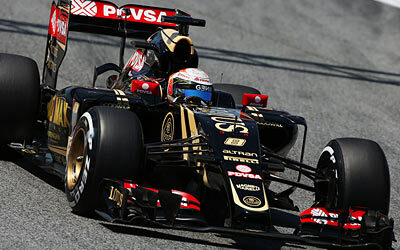 The E23 is strong on traction and strong on braking which are two crucial areas for a fast lap here. We’ve steadily improved both over the weekend and this coupled to the Mercedes power unit gave our drivers great potential. Both Pastor and Romain perform well on this track and are strong on heavy braking events, so it’s definitely a place that suits our package. We expected to go quite well here, but we look to be a little better than we even dared hope. "We have the podium in our sights. This is, of course what we should be aiming for, and it won’t be an easy task given our opposition, but that’s what we’re gunning for. We’ll see what we can do."